With Christmas right around the corner, we at The Amazing Blog have been frantically trying to gather the perfect gifts for our loved ones. Needless to say, we have found shopping for the men in our lives particularly difficult. We’ve looked long and hard for products that men will both enjoy and actually use. Fortunately for us, we received samples from companies such as Marvling Bros, Ted Baker, Below The Belt and Luscombe. The stress of shopping for our men has finally come to an end. Instead of the usual stocking stuffer, we decided to turn it up a notch by buying a gift with a manly kick. 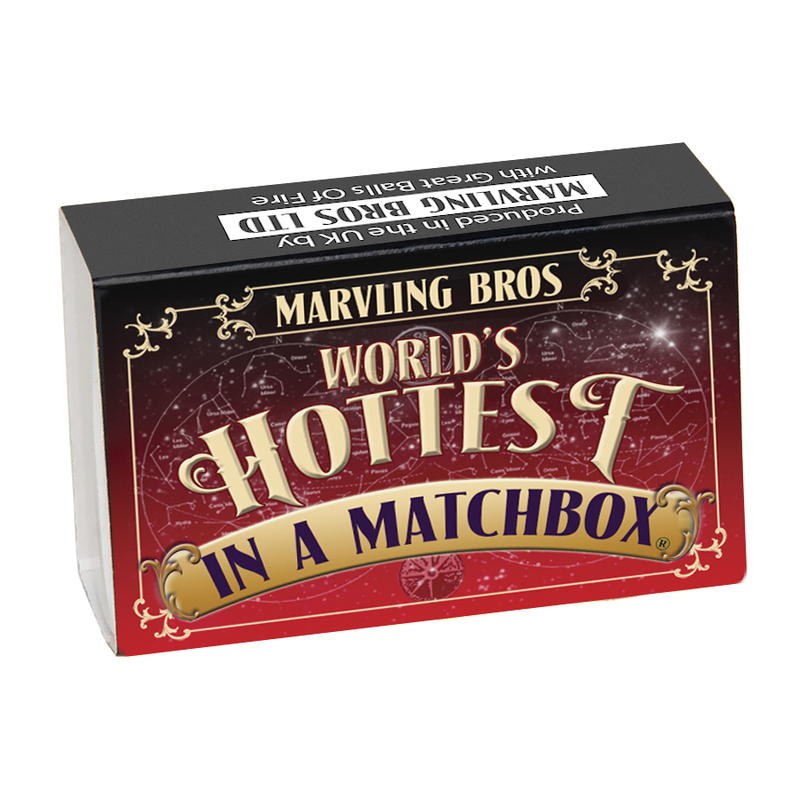 Marvling Bros World’s Hottest Chocolate Bars are the perfect fiery gift for men. Unlike most tasty treats, this chocolate bar presents them with a challenge rather than a chance to indulge in more Christmas chocolate. In other words, the chocolate is so hot that the company actually has to send safety instructions with it. Paired with a bottle of the world champion hottest chilli powder, Carolina Reaper, together with two bars of extreme heat chilli chocolate, this little bar of dynamite, in a very clever mini matchbox, is sure to leave you begging for a glass (or gallon) of milk. We feel this product is perfect for boys because, let’s face it, what man doesn’t love a challenge? World’s Hottest is available from the In-a-Matchbox website, priced at £5.99. For chilli lovers, Marvling Bros Ltd have also produced ‘Hot Stuff In A Matchbox’, four bottles of the hottest chilli powders in the world, priced at £5.99. Looking for more than a stocking filler or gag gift? We’ve found the perfect package deal of essentials that will last long, put your shopping stress to rest and smack a smile on your man’s face. The Ted Baker Personal Best Wash Bag Gift Set includes an array of men’s grooming products, including a hair and body wash, body spray, and wrapped soap. If your man is always on the go, this is an ideal travel set - chic, affordable and actually effective. You can purchase this gift at your local Boots Store or at any Ted Baker location for £22.00. Browse the Ted Baker website to and take a look at this gift set or anything else your man desires. We want the men in our lives to feel fresh and exude total confidence every day. Below the Belt Grooming has created skincare products that celebrate, cherish and protect all aspects of a man’s body, especially below the belt, leaving him confident and comfortable in his skin. For the athlete, check out the Sports Lubricant for £7.95. Whether your guy runs, plays golf or plays football, this product will prevent chafing or any unnecessary discomfort. Do you ever feel like your boyfriend is just lazy and you are constantly nagging him to take a shower? Or, is your man just busy and always on the go? Buy them the Waterless Shower Groin Cleanser for £6.95; he doesn’t even have to take his trousers off to use it. He just has to rub it around the groin and crotch area before heading out and he’s all good to go. For any man that just wants to make sure he stays fresh at all hours of the day, you can buy Fresh & Dry Balls for £6.95. All he has to do is apply it after a shower and he should smell clean all day long. These products can only enhance the every day life for all the men out there. 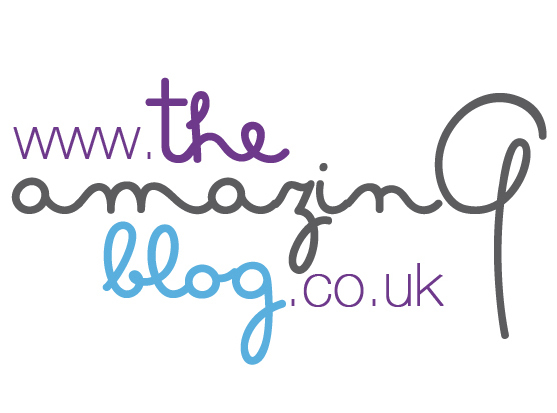 You can purchase the products here and even buy a trio of the products for £19.60. If your man has decided to go teetotal this Christmas, we've also discovered a delicious selection of soft drinks from Luscombe Organic Drinks. With flavours like Cranberry Crush and Wild Elderflower Bubbly to choose from, the bottled beverage company have a great variety to spice up your Christmas. Our favourite is Hot Ginger Beer; a spicy drink with a hint of lime, this leaves a slightly peppery feeling after you take a sip, perfect for keeping you toasty warm this Christmas. You can get a pack of 4 here for £5.99, as well as variety packs, if you can't quite decide. Who needs Santa when the men in your life have you to shop for them?